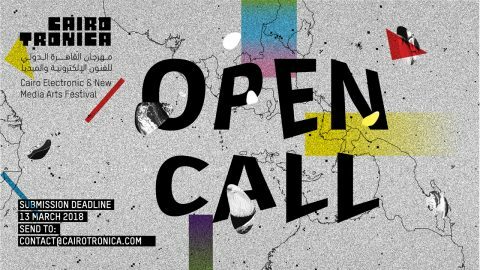 In its second edition “A Future of Possibilities“, Cairotronica – Electronic and New Media Arts Festival is pleased to announce the open call for exhibition. This call invites artists, art projects and collectives to submit their work for the upcoming exhibition, which will take place from 05 – 10 May, 2018. When logically thinking of the term “possibility”, one underscores the absence of contradiction, defining what is “possible” as what cannot be prevented by anything from happening, even if it does not at all occur. The study of postulating possible future scenarios or studies, also known as “Futurology” (coined in the 1940s by Ossip K. Flechtheim denoting a new science of probability), revolves around determining the likelihood of certain events and developments to take place in the future by developing a pattern-based understanding of changes that have occurred in the past and changes occurring in the present. The concept of future scenarios has emerged within philosophy, science fiction, cultural studies and contemporary art and design. Since it is co-existent with the growth of advanced medical/science and communication technologies, the future human is framed by ideas of mutation, evolution and the development of a species that re-writes what is conceived as future human. The definition of the future human draws on both humanist and anti-humanist concepts that suggest a profound paradox. Nonetheless, it is quite certain that the conflict between predictability and unpredictability is a source of huge debate among futurists, many of which argue that the future is fundamentally unpredictable and that the best way to anticipate what it might bring, is to simply create it. Whereas others, like Flechtheim, argue that advancements in scientific statistics and modelling allow us to foresee probable futures and possibilities. If your project/artwork is selected, your picture and text material will be used within all promotional materials and publication, with all reserved copyright. We ask you to carefully prepare your participation data. All submissions will be reviewed by an appointed selection committee. The exhibition will take place at Palace of Arts – Cairo Opera House Complex.